We provide high speed proximity smart card system with unique security features. We provide card based access control and time attendance systems can be used to manage thousands of employees at multiple locations. Employee identification system is an integral part of Access Control System and it must be in place for positive identification and access control to avoid unauthorized entry. Complete range of access control accessories, locks & brackets, door contacts, push buttons, no touch, motion sensor based exit devises, key switches, emergency door release and buzzers. 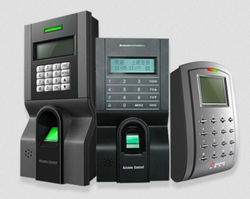 Biometric and Card Based Access Control System, Eye and Face Recognized systems. 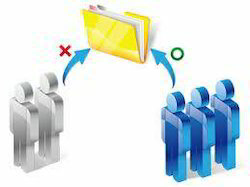 Network access control (NAC), also called network admission control, is a method of bolstering the security of a proprietary network by restricting the availability of network resources to endpoint devices that comply with a defined security policy. TD-TDMOIP F5-23xx can transmit 1/2/4 El channel over the IP networks. The device supports framed and unframed El channel, and support all of the traditional El and IP services, such as voice, data, fax, signaling and the other all kinds of communication service. F5-23xx is widely used with WLAN to transmit El signals. Our solution includes smart card access or UHF (long range) access control, Boom Barrier, Controller and Access Management. (i) Control of all Entry/Exit points from an Area/Facility. (ii) Tracks and Logs personnel throughout a facility.